Mock Neck Inset Front Leotard will bring a touch of sophisticated glamour to any ballet class. Featuring luxurious diamond lace insets on the chest and below the bust line, this mock neck leotard is designed with Motionwear’s signature Silkskyn Luxe (91% Nylon, 9% Spandex) for ultimate comfort and flexibility. With a full front liner and Boston Ballet School logo on the back waistline, this leotard is the perfect addition to your summer program wardrobe. 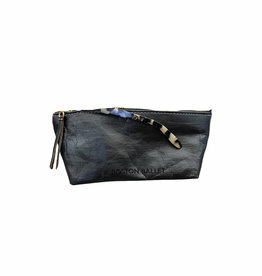 Available in Sea Stone and Black. Available for online pre-order only, order deadline is May 10, 2019. SDP merchandise will be available for pickup at the beginning of the program. Please choose in-store pickup at checkout for your studio location. 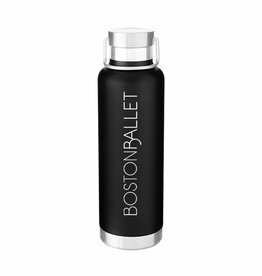 Keep all of your essentials close at hand with our exclusive Boston Ballet Cosmetic Bag. Bottle will keep your hot drinks hot for 12 hours and your cold drinks cold for 24. Designed in collaboration with Motionwear, the Inspire collection features elegant and flattering leotards for ballet students of all ages.